Florida Crime Compensation Act | DeLoach, Hofstra & Cavonis, P.A. If you have been the victim of a crime you may qualify for benefits to help with financial hardships resulting from the crime. The crime must be reported within 72 hours. We here at DeLoach, Hofstra & Cavonis, P.A. are here to help you, your family, and your friends. Contact Paul Cavonis at 727-568-6693 for a free consultation. As the name implies, The Florida Crime Compensation Act is a legal program created to help victims of a crime who are experiencing financial hardship as a result of that crime. If you have been the victim of a crime, including but not limited to, an automobile accident involving a drunk driver, you may qualify for this program. The benefits of the Victim’s Compensation Fund are generally unclaimed unless they are pursued by the victim or the victim’s attorney. These benefits can help cover out-of-pocket expenses such as deductibles and co-pays for medical bills and property damage. What are the Requirements to Qualify for the Victim’s Compensation Fund? Funds are limited for purely psychological trauma. This can be extended to 2 years if there is good cause to do so. The victim must not have a felony conviction on their record. 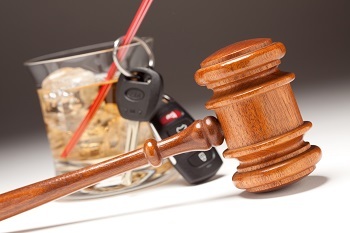 If you’ve been hit by a drunk driver you do not have to go through the aftermath alone. We here at DeLoach, Hofstra & Cavonis, P.A. are here to help you, your family, and your friends. I hope you find this article helpful. Thank you for visiting our website and please call me at 727-568-6693.